As an indie label based out of Nashville, Dualtone’s catalog tends to favor the musical styles that dominate the city. Classic country, folk, and the singer-songwriter tradition, are all represented, but the artists and bands on the label’s roster don’t stick to those categories as a hard and fast rule. They play within them and between them, adding nuance, novelty, and even a touch of nostalgia. As a result, Dualtone’s roster feels like carefully-chosen color swatches: all of the artists fall within the same spectrum, but each one offers a different shade. Operating since 2001, Dualtone opts for quality over quantity. Lumineers’ frontman Wesley Schultz told the Nashville Scene in 2013 that Dualtone helps develop “delicate” sounds, and the description is apt. The music is delicate not because it’s dainty, but because it reaches beyond commercialization and commodification for something demonstrating sincerity. That sense of trust has enabled the label to develop strong working relationships with its artists. “At some point, the relationship is about so much more than the music, because you’re working with these people day in and day out. If you don’t feel like you’re going to have a good working relationship, even if you love the music, sometimes you have to make that call to not go forward,” McDonald says. 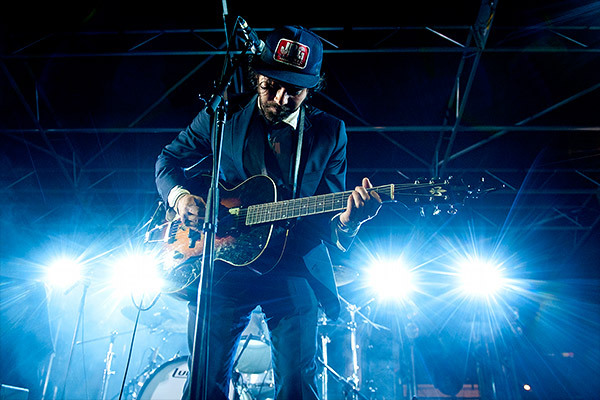 Those relationships have been instrumental in the label’s growth: Dualtone discovered Shakey Graves when he toured with Shovels and Rope, and Langhorne Slim when he toured with The Lumineers. With 15 years under its belt and an array of Grammy awards, nominations, and gold- and platinum-level successes, Dualtone proves that the Nashville sound can still be as much about heart as it is about twang. With gritty yet shimmering vocals and a songwriting prowess that belies his years, Dennan’s So Much More is an earnest album showcasing candid lyricism. He was definitely the first major artist that broke the label into the triple-A (Adult Album Alternative) radio landscape. There’s a lot of politically-minded songs on So Much More, and the lyrics are really straightforward and don’t leave a whole lot up to interpretation. “Ain’t No Reason” is the tentpole for that record; he’s really saying something in that song specifically, but also the record as a whole. I think that’s part of why that did so well. There wasn’t a lot of that in the mainstream in 2006. Carter Cash’s last solo album is full of honest songs steeped in the folk traditions that informed her family’s storied songwriting. 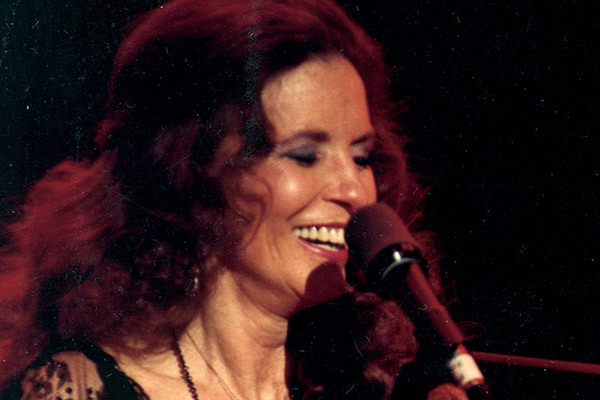 Her aging, but no less beautiful, voice carries the material into a new era. Scott Robinson, who is the co-founder of the label, tells this story about going to June and Johnny’s house and actually hearing her play the album on her porch on a nice day in Tennessee. I think the record captures that feeling in a big way—that Tennessee porch vibe. This was such an important release for the label, and we won two Grammys with it. It was one of those records that attracted me to the label specifically, seeing that there was that respect for the history of the music. Playing with the spirit rather than the letter of southern music, Into the Wide is a wild indie rock record with blues overtones and a range of influences, old and new. This was our first record with the band, but their fourth overall. This was one of the only bands that everyone in the office would buy tickets to see every time they came to town—which is rare, especially for people in the music business who end up going to a lot of shows for work. I think they’re such great people and they’re such brilliant musicians and songwriters. It was a no-brainer for us. I’m really proud of that record and having any sort of involvement in it at all. It’s one of my favorite records that we’ve ever had a hand in, and I know a lot of people here agree. An expansive album that blends the heady rhythm-driven songs that made Shakey famous with sharp duets with Esme Patterson. Early in our conversation, Alejandro mentioned how important Bandcamp and the community and the people who found him were, and how he was afraid a label would have all these restrictions about where you can present your music. When we were talking to him, we weren’t just competing against other labels, we were competing against him. There was just as good a chance that he was going to put the next record up on Bandcamp and let people find it. We were able to marry those two processes. Because so many of those fans had so much to do with getting him to where he was, he wanted to repay the favor, so we emailed anyone who’d ever downloaded one of his albums on Bandcamp and offered them a $5 preorder of the album. And we ended up getting over 1,000 pre-orders the first day, which is insane. Most indie records don’t sell a thousand in their first week with months of preorders and a week of release. They really responded to him giving back to them and not just treating them like any other fan. An album full of pining, desire and loss that takes indie and folk rock into moodier directions all voiced with Wesley Schultz’s trademark voice and high-spirited harmonies. The record was a really long writing process. They were pretty unknown for years and years before anything happened, and they were able to take a lot of time and care crafting that first album. I think that record, just the amount of work that was put into developing those songs, set the pace for them, and established the way that they continue to create songs. They take a long time crafting each song, stripping a lot of things back to their elements, discussing every little detail and trying a lot of things out. A lot of that started on that first record, playing it in front of people. The way “Ho Hey” came about—the song didn’t originally have those “ho’s” and “hey’s” in them. They would play empty bar after empty bar, and the handful of people there had maybe not a ton of interest in the show. So as way to get the audience’s attention, the band would jump off stage and actually yell “ho” and “hey” at these people. 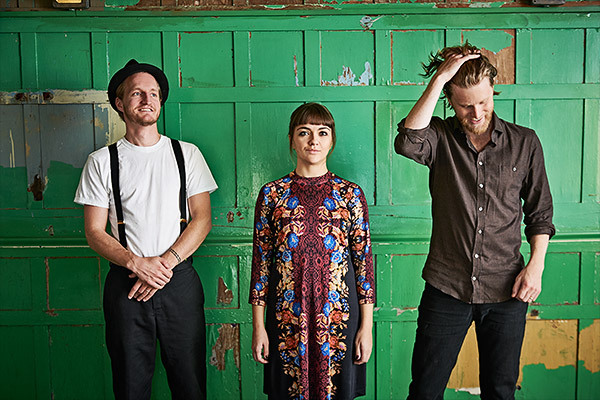 Building off the sounds that made The Lumineers Dualtone’s biggest hit, Cleopatra returns with a series of narrative songs backed by compelling instrumental arrangements and foot-tapping rhythms. They’ve grown by an immense degree with all the work they’ve put in over these last four years, touring the planet. They’ve grown a lot as people, Wes and [Jeremiah Fraites] are both married now—those are the two principal songwriters—and I think it’s a much more mature, deep, thoughtful record. I think it’s pretty clear just by the sound of the record; it’s a much bigger sound, and a lot of that has to do with how the band developed on the road as a unit. They played in every kind of place imaginable on that tour. It started out in 200 capacity clubs and ended in South Africa with around 17,000 people or something. 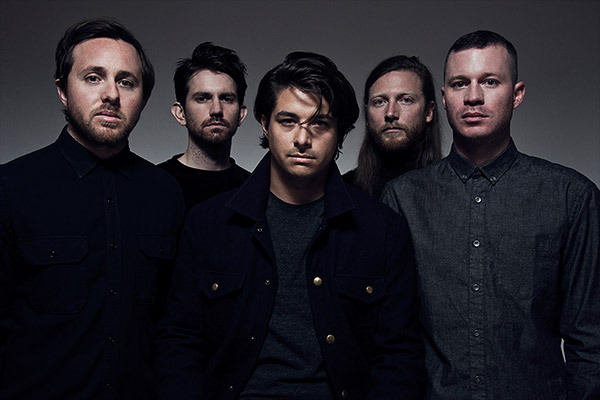 They really learned how to stretch their sound and grow it as they moved into bigger and bigger venues, and I think a lot of that is reflected in the new record. Traditional country folk with strong rhythms underpinning playful melodies, complemented by gravelly vocal harmonies between the husband and wife duo. They were sort of a big connector for us with a lot of our artists. 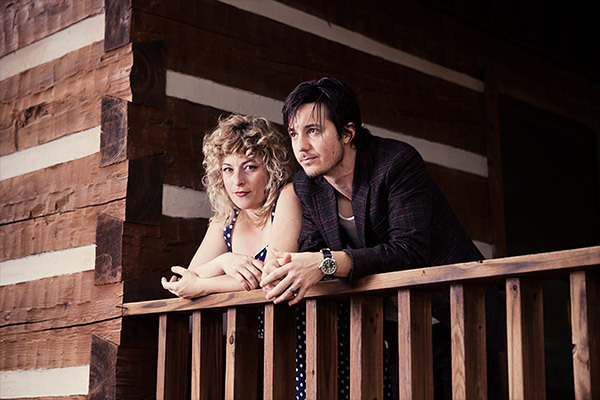 Through Shovels & Rope, we got to know the Felice Brothers—we put their 2014 album out—and we got to know Shakey Graves. They ended up opening some shows for The Lumineers. Their manager led us to Noah Gundersen, and we became great friends with Langhorne Slim too. So there was a lot of connections made through Shovels & Rope. They’ve kind of embodied that Dualtone spirit as much as anyone, where you grind it out for years and years and hone your craft and all that hard work ends up paying off. 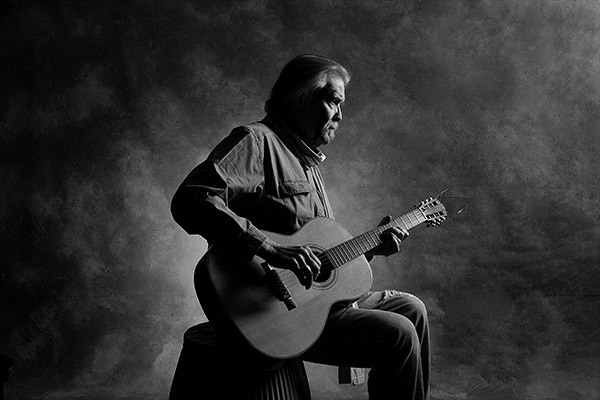 Penned following his wife’s passing, the album is full of raw stories and raw emotions. It’s the songwriter at his most vulnerable and, as a result, his most honest. I think his style is very straightforward, honest storytelling. His wife had passed, and so the picture that’s on the cover—what the title track is singing about—is this picture where I guess Guy and Townes Van Zandt were cutting up in the middle of the day, getting pretty rowdy. Susannah, Guy’s wife, who was also a great friend of Townes, she got really angry at the guys for being drunk idiots and someone snapped a picture of her at her most angry. I think that kind of says a lot about Guy that that became his favorite picture of her. It was the real her in that photo, for sure. 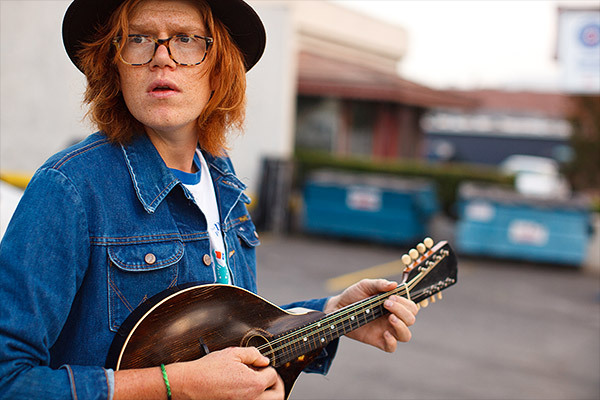 This entry was written by Editorial, posted on June 27, 2016 at 6:49 am, filed under featured music and tagged Brett Dennan, Delta Spirit, Dualtone Records, Guy Clark, June Carter Cash, Label Profile, Shakey Graves, Shovels & Rope, The Lumineers. Bookmark the permalink. Follow any comments here with the RSS feed for this post. Post a comment or leave a trackback: Trackback URL.